Remy Hair is considered to be the finest quality of human hair because the hair cuticle is kept intact and not stripped, like in most other non-Remy hair extensions. Preserving the cuticle of the hair and arranging the hair strands in one direction allows for quality extensions that will look very natural in appearance. This process ensures that your extensions will stay super soft, shiny, silky and tangle-free. 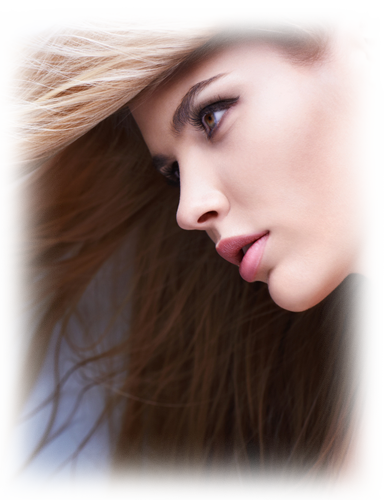 What is the difference between remy hair and synthetic hair extensions? Can I brush, curl, blow dry and wash my hair extensions? Clip in hair extensions are temporary extensions that are perfect for special occasions. They can be applied quickly to your hair with simple clips that vary in size from small one inch clips to larger sizes. Clip in hair extensions are very affordable, easy to remove, and a great option for anyone who wants a quick style change for a special event instead of more permanent extensions. What are micro link hair extensions? Micro link hair extensions are hair extensions that are attached to your hair by a small tube-like link or bead. The micro link beads are available in different colors to match your own natural hair color so that the point of attachment is almost invisible. Microlink hair extensions are a more permanent option than clip in extensions. The process can take up to several hours depending upon the type and the amount of extensions that will be added to your hair. Wash the hair in one direction from top to bottom. Avoid washing hair upside down. Use shampoos and conditioners that are for dry hair and add the most moisture. If possible avoid using products that contain alcohol or sulfates. Shampoos with harsh lathering agents can strip your hair of vital nutrients and cause it to become dry. Wash hair right after swimming. When brushing your hair, start from the bottom and work your way up while holding the top. What types of hair products should I use? The best choice for shampoos, conditioners, and styling products are those that add moisture back into the hair. Products for oily hair or strippers that take out chlorine or product build up should not be used as they will leave the hair dry. Use styling products that are zero or low alcohol. Products for dry hair are the best. Spray in conditioners and are wonderful for the ends. Swimming in swimming pools and hot tubs is okay, but it is best to wash hair right after swimming. We recommend avoiding swimming in the ocean and in salt water as the salt can take all the moisture out of the hair and cause it to tangle. It is a great idea to add a spray in onditioner after swimming.